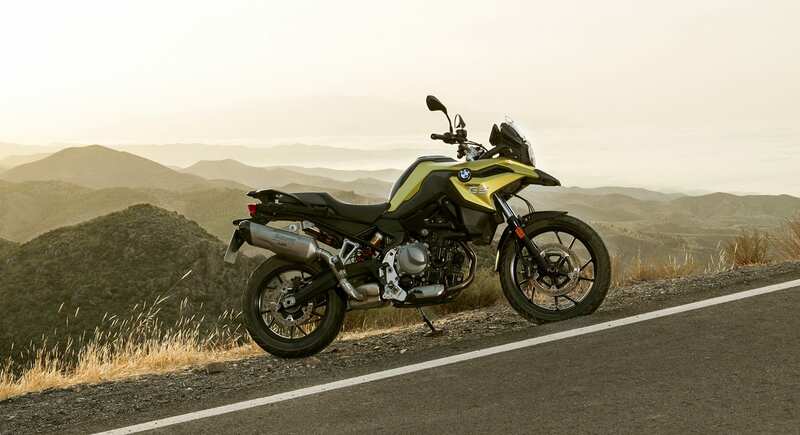 Since BMW Motorrad first announced, back in November 2017, that they were launching a new F750GS and F850GS, everyone has been hot on their feet to see what they would be like. As we keenly waited for them to be revealed in April 2018, the launch got postponed to May. Finally, in May we got a true glimpse and these two beauties- they look smart and elegant, yet powerful, and demand attention on the road. Iñigo and I were incredibly excited to test ride the F850GS and F750GS, respectively, on launch day. In fact, click here to see Iñigo’s thoughts on the F850GS. Being so limited with the bikes I can ride, due to my height, I was terribly keen to sit on the F750GS. This bike is shorter than the F700GS and thus I suspected it could be a good option for me, as I wish to move onto bigger and more touring comfortable bikes. Provided I could reach the floor, with the low seat, it looked like the F750GS could be my next bike! Naturally, this is quite disappointing as I was so keen to try the bike. Having said that, I must commend BMW for how seriously they take their customers safety. They have discovered a fault in the production of the model, which could cause problems to customers, and have decided to halt the launch, test rides, purchasing and production of the model. This must be costing them a bomb, but they have done so to protect riders and prevent greater problems- Bravo! There is a part of me that truly believes many other brands would not do this. Copyright of all photos: BMW Motorrad website. Although BMW have recalled all the F750GSs, I cannot wait to test ride one when everything is sorted. I think the bike is good looking and having sat on one at Bahnstomer Maidenhead, I can reach the floor pretty well! Here is hoping that in a few months, I will be posting a review on this magnificent machine! For now, here is a teaser of the model. I rode an F750 GS & was very disappointed with the new engine. I was happy to px my F650GS Twin until I rode it. The Rotax engines are far superior to the new Chinese ones. Interesting, we haven’t been able to test it yet! Our dealership hasn’t got a demo due to the issues they are facing. I guess we will have to wait! Have you tried the F700GS? I tried that one and I thought it was great! They go for good prices with low mileage. I have tried the F700, which is very similar to my F650, very comfortable, smooth, excellent handling, excellent fuel economy, etc. Both the F650 & slightly updated F700 are superb bikes, the F750 to me is a step backwards, mainly due to the engine, still a parallel twin, but “tuned” to feel like a V Twin….why? One of the best things about the 650 & 700 (both 800cc parallel twins) is that they are very comfortable & smooth at low speeds in heavy traffic etc, no so with the F750 which feel lumpy & unhappy. I’m convinced BMW have gone the wrong way with this new “V Twin Wannabe”. That’s an interesting point of view. We will have to try it ourselves to judge! When I test rode the F750, I covered a mixture of city riding & A / B roads around the Yorkshire Dales, in town my F650 blows the F750 away, Out on the open road there’s less of a difference, & the F750 does have a little more mid range shove, but the “built in vibration” becomes annoying after a while. If a rider was to jump on an F750 I’ve no doubt they will love it, but for F650/F700 owners like myself, it was disappointing.